It is a goal to add some fun “loop” trails off from the TMAT in various places. Several folks have sent some in. I finally posted one of them. Find the “LeSuer Loop” on the Trails page. Thank you ADVronksi on advrider.com for submitting this! Hopefully, this is the start of many more. A MN DNR representative will be talking about some of their initiatives around trails and scenic byways to increase tourism in the state. Hope everyone can make it. Should be very informative. Is Dual Sport really a sport? Tough Question of the day: Is Dual Sport Riding or Adventure Riding really a sport? I hear it referred to in that way. But I wonder if it is really accurate. There are no points, no teams, no regulations, and no cheerleaders. So is it really just a recreational activity? What about the Baja or Dakar races? Aren’t those sports? They have points, and trophies, etc. Yes, but those are off-road only races (for the most part) and are not what most guys do on the weekend with their BMWs and Suzukis. So I don’t think it really counts. What about Harescrambles and Enduros? Yes, but those are really for off-road bikes. So it is more related to motocross then dual sport. 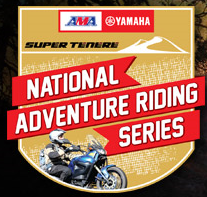 Wouldn’t it be cool if there was truly an organized Adventure Riding series of races? Well, there is, but they aren’t races. They are rides. The AMA has set this up. What about EnduroCross? Isn’t this close? Close, but no cigar. Arenas don’t equal roads and trails. It is a cool sport though. I hear that ESPN is allowing it into the Summer X-games this year. In the end, Dual Sport is just a lot of fun no matter what category you place it in. I don’t think it needs to be called a sport. Its a recreation, a hobby, a passion, and those are enough. Sound off in the comments with your own opinion. The TMAT GPX file has been split into two pieces, East (the original) and Central (new proposed routes). See the Trails page for more info. This should help folks who have limited memory on their GPS devices and only want to download one part of the Trail. You are currently browsing the Minnesota Adventure Riders blog archives for May, 2011.